SYDNEY (Reuters) - Australians go to the polls in a general election on May 18, Prime Minister Scott Morrison said on Thursday, firing the starting gun on a campaign expected to be fought over taxation, climate change and inequality. Opinion polls show Morrison's conservative coalition trailing the opposition Labour party after six years in power and two prime ministers toppled by internal party ructions. 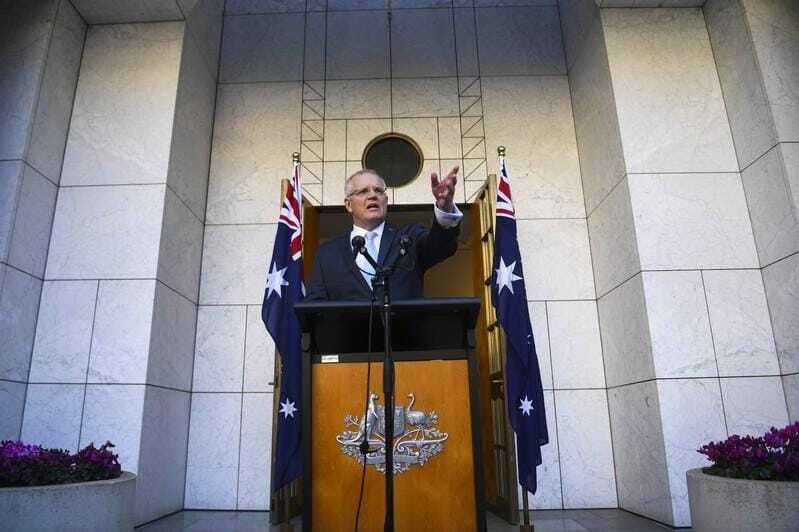 Opinion polls show the Morrison-led government, consisting of the Liberal and rural-focused National party, is headed for a resounding defeat against centre left Labour unless it can alter the current trajectory.